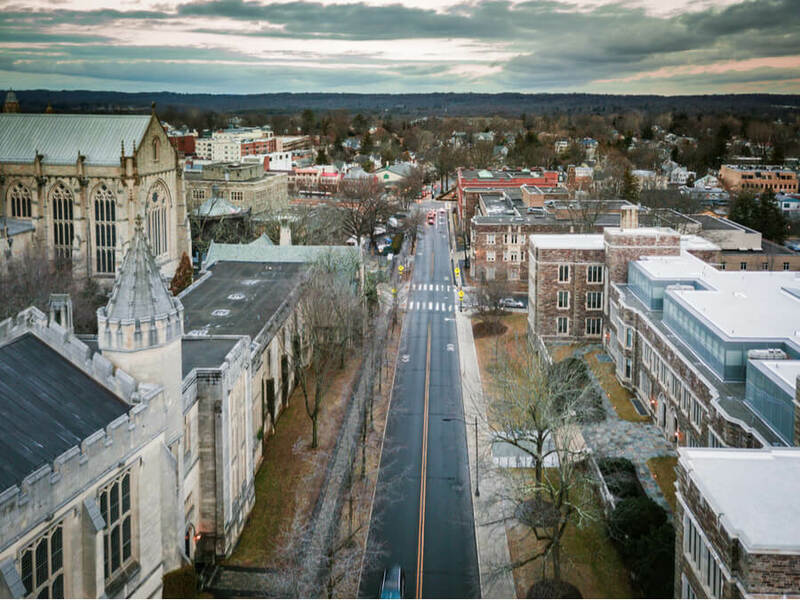 Princeton House Behavioral Health is a treatment center located at Princeton which was built 47 years ago to tend to individuals struggling with addiction, mental health issues, and various other problems within the local community. Since its origin, the center has expanded across the state of New Jersey to townships including Plainsboro, Hamilton, North Brunswick, and many others. The center offers various steps of treatment for individuals seeking recovery (professional psychiatric evaluation, adult medical detoxification, 12-step programs for recovery etc.) and provides programs like the inpatient program, outpatient program, and partial hospitalization programs depending on the specific needs of each client. The center also treats individuals with issues involving co-occurring disorder. Princeton House Behavioral Health tailors it programs towards certain demographics: children, young adults struggling with drug or alcohol abuse, grown and older adults with co-occurring disorders and psychiatric problems, and a special program for first-responders like army veterans and policemen suffering from addiction or traumatic experiences. Additionally, the center boasts of connections to a prestigious hospital, highly trained and highly diverse medical staff, and fully-equipped center to treat a wide range of addiction and substance abuse problems. The centers’ inpatient facility rests on 10-acres of wooded property, a few miles from Princeton and has a conference space for individuals involved in the 12-step program and other important education. This center is also able to house up to 110 people. Additionally, the center for inpatients also has a 25,000 square-foot facility for short-term care which can house up to 21 patients and is designated by the state. This Short-Term Care Facility (STCF) is aimed at making individuals well enough to return back into their communities or certify them for the inpatient treatment program. At this particular center, adults who are struggling with critical mental illness or co-occurring disorders are treated with care and compassion by highly competent staff experienced in diagnosing and treating these patients. The center is particularly focused on helping individuals achieve long-lasting recovery so as to send them back into their communities and families healthy and whole. Princeton House Behavioral Health also aims to makes patients comfortable in their surroundings by offering two gyms, a courtyard outdoors, a game room, kitchen (which underwent an expensive renovation) and an indoor dining room. Nutritious meals are recommended and planned by professional dieticians and the facility offers patients a variety of food choices daily. This is usually done before any form of inpatient treatment and requires the individual to be in the program’s detoxification unit for about 5-7 days where they are monitored regularly by experienced medical professionals. Medication treatments are also provided for clients who may be going through withdrawal from substances. In this program, the individuals are evaluated and a treatment plan is designed specifically for the individual’s needs. Treatment involves 24/7 nursing care and often requires individual therapy, support groups etc. The facility provides a well-structured program to address the specific needs of individuals who work as first responders (policemen, firefighters, veterans etc.) and are liable to intense psychological stress and trauma. Insurance plans accepted currently can be changed at any time, but patients are advised to contact the hospital for more information pertaining to payments. The facility is licensed by The Joint Commission International Accreditation Preparation and The Magnet Recognition Preparation. The healthcare center is available 24 hours a day for inpatient admissions and Monday to Friday, 8:30 am to 5:00 pm for outpatient admissions. The center puts great importance on family therapy, incorporating it into programs to help families with substance abuse and mental illness patients, understand the disease and quicken the recovery process. Smoking is allowed, but only at scheduled times at specified areas and never during programs or inside the facility. Group therapy at the facility allows for a maximum of 12 patients. The average duration for a regular treatment plan for a patient taking the outpatient treatment program is six hours a day, five days a week. Staff is available to provide 24\7 care to patients. The partial hospitalization program consists of five different group sessions a day, the sessions ranging from psycho-educational to psychotherapy.